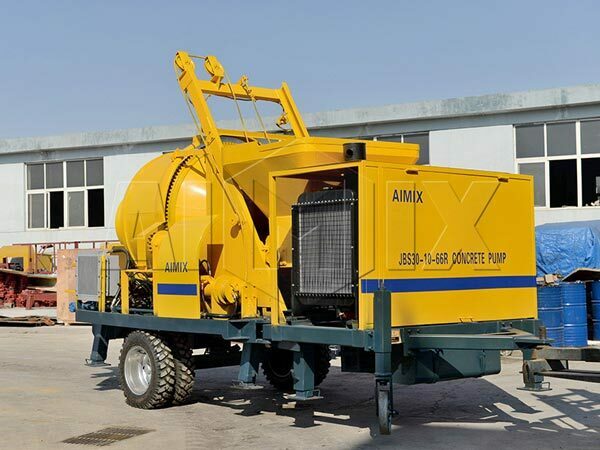 In the construction process, we often use concrete pump which is a convenient tool to reduce the human labor and improve the working efficiency. 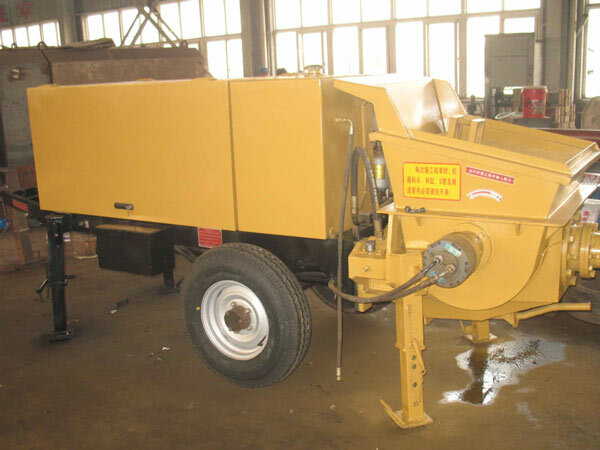 Do you know what’s the working principle of concrete pump? We will introduce for you in the following passage. 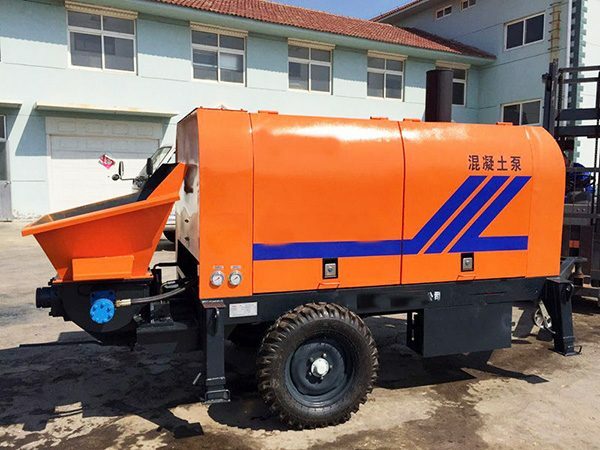 Concrete pump adopts motor or diesel engine to drive the pumping system and through the hydraulic system with constant power it can control and adjust the transport amount of concrete autonomic and it also can adopt manually control to deploy the amount of concrete transport. 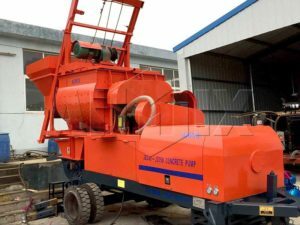 The pumping system is mainly composed of hopper, mixing mechanism, concrete distribution valve, concrete conveying cylinder, washing room and main oil cylinder. The working principle is like this. When starting, the stirring pump drives the hydraulic through the motor and the hydraulic pump drives the hydraulic cylinder, thus the piston in the conveying cylinder is pushed to perform the alternating movement of “pushing and sucking” alternatively. The piston is respectively connected with the main cylinder piston rod and under the action of the master cylinder hydraulic oil it does reciprocating motion: one cylinder forward, then the other back. The outlet of the concrete tank is connected with the hopper and one end of the distributing valve is connected with the material outlet at the same time the other end is connected with the swinging arm through the spline shaft so it can swing left and right under the influence of swinging cylinder. Keeping repeating like this, the hopper of the concrete pump on a steady stream of suction and pressure sends the concrete through the Y pipe and outlet connected pipe to reach the operating point thus complete the pumping operations. 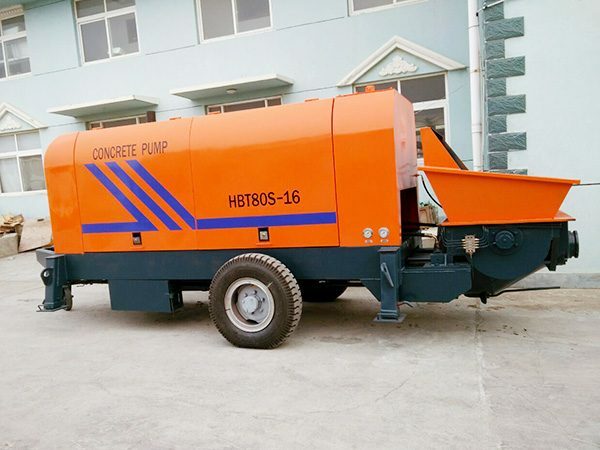 As one of the most experienced concrete pump producers, we specialized in producing and selling all models of concrete pumps with high quality and reasonable price. Our products not only have perfect performance but also are very durable. If you are interested in our products, feel free to contact us or leave us a message.